BUTTE COUNTY, Calif. — Law enforcement officials and firefighters in California have been working tirelessly to put out wildfires in parts of the state, and on Sunday, they got a much-deserved surprise. 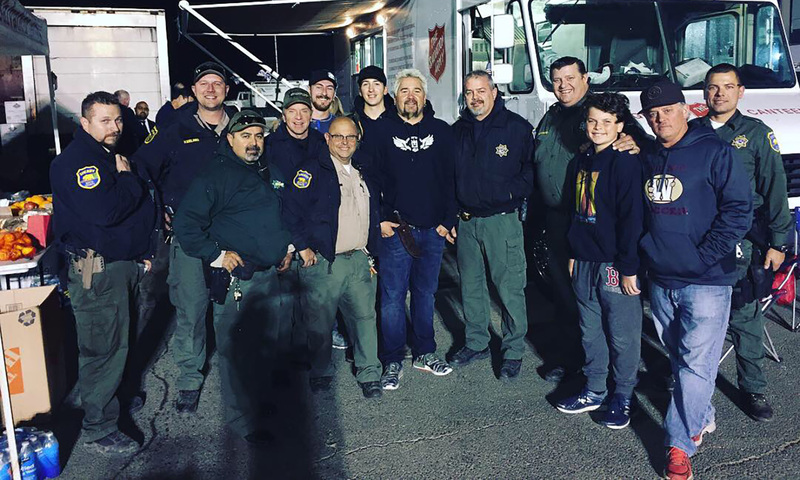 According to social media posts from the Butte County sheriff and also from the Auburn Police Department, celebrity chef Guy Fieri made a surprise visit at a law enforcement staging area on Sunday to serve dinner to everyone. “Thank you so much for filling our bellies and lifting our spirits,” the sheriff’s office wrote on Twitter. California wildfires have claimed the lives of at least 42 people and more than 200 remain unaccounted for, officials have said.